Sauce123 destroys the competition. Trust me. He put together a really solid, concise guide to beating the 6-max no limit holdem tables – particularly on US friendly poker rooms Post-UIGEA (when many poker rooms closed their doors to US players, ultimately making the tables much more weak/tight or “nitty”). This is really a nod to the beautiful simplicity that was IlikeAces guide. The purpose of this guide is to make decisions as simple as possible for us and as hard as possible for our opponents while retaining large amounts of implied odds and fold equity. General Theorem: Project a nitty image, but 3bet like a monkey because this stat doesn’t come up on Poker Tracker/ HUD and our opponents are multitabling robots. 1. Open AK, AQs, 22-AA UTG. Add AQ0, AJs, KQs, ATs UTG+1. Add AJo, KQo, QJs, JTs, KTs, KJs, T9s, 98s, 87s, QTs, in CO (you can add a few more from button range here as things progress). Add AT0, 76s, 65s, 54s, T8s, J9s, A9s-A2s, 97s, 86s, 75s, QJ0, JT0 from Btn. 3. Isolate/raise limpers with any hand you would open with from the button. 4. Fold to a 4bet shove unless you have QQ+ AK if people aren’t batshit insane. 5. If you are 3bet- in position, call with TT+ AK and 4bet with QQ+ AK OOP. a) You are holding an SC or a PP. b) There are two or more people already in the pot. c) Your hand is not strong enough to 3bet (not in the top 1/2 if their opening range from that position). 1. Cbet any flop containing 1-2 paint cards, any flop containing 3 cards 7 or lower, any flop containing disconnected cards and any flop which hits you. Do not cbet if you have not hit a flop with 4 or more ppl in the pot. 2. When OOP, do not put any more money in the pot past your cbet if you do not have top pair or an 8+ out draw. Bluff all scare cards on turn or river if given an opportunity. 3. You may slowplay sets on rainbow unconnected boards, but that’s it. 1. Continuation bet for 2/3 pot any flop containing one or more A K Q, any flop which has given you top pair or an 8+ out draw or better. 2. Double barrel shove any flop/turn containing a K, Q, J, or T against opponents who are in position and have shown down a hand 22-99, T9s-54s, in your recent memory, in a 3bet pot. 3. If you have bet a weak overpair (99 on a 872 flop), fold to a flop raise and call only any bet that is less than or equal to 1/2 pot on later streets against most players. 4. With your strongest hands and draws shove turn. 5. Do not slowplay ever. 6. Always bet if an A or K falls on the turn or river and you have already bet the flop, unless there are two cards connecting to it. I will edit/add to this later but anyone of average intelligence should be able to make 30,000 or more per year playing sporadically using this strategy. Remember, almost everything said here is meant to exploit TAG and LAG regs who make up the majority of players at 100nl+, which differentiates it from the ILIKEACES guide. Most things in here probably are not correct for every opponent, every time, but I believe this is a fundamentally sound strategy which would be the basis of my strategy if I had a tight image. Sauce. 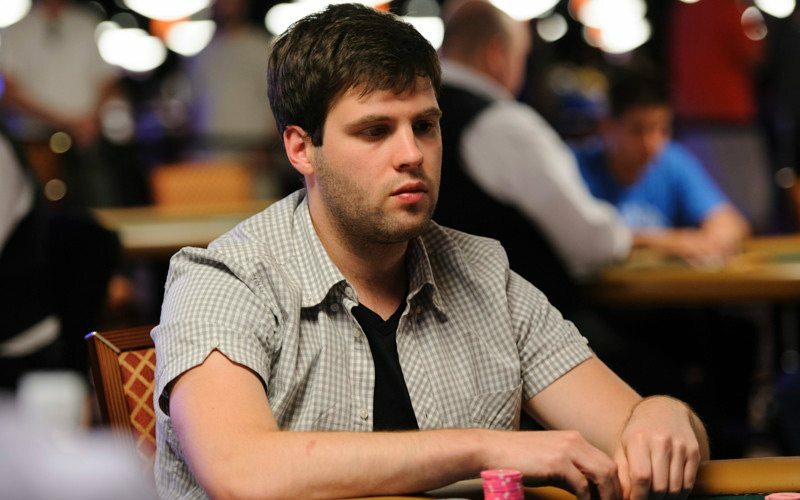 -This guide is dedicated to Adam001 who I talk poker with a lot and who has made more money playing more tables and less hands than anyone deserves to and who’s game I respect a lot.